The trend originated in the Harajuku area of Tokyo, in a district called Shibuya that spreads from Harajuku Station to Omotesando, with the epicentre being a side street named ‘Takeshita Dori’; lined with chic shops, fashion boutiques and used clothing stores where teenagers flock every Sunday to pick up the latest piece of eccentric clothing. Not only does Harajuku cater for the adolescent youth, it is also seen as a World Fashion hub with one of its main streets Omotesando, compared by some to the Champs-Elysees in Paris. 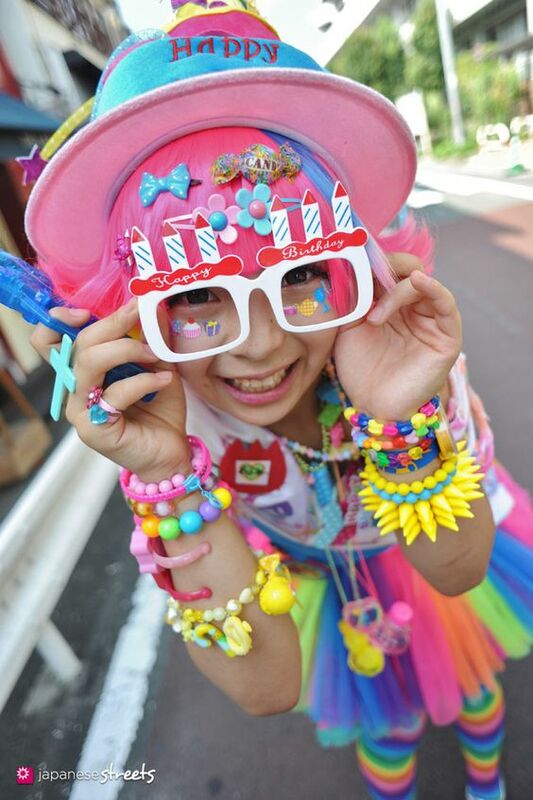 Harajuku fashion first earned its stripes just after WWII when the ‘Washington Heights’ US Army barracks, were built – attracting a bunch of curious teenager’s, eager to see what all the ‘Western fashion’ fuss was about. In 1964, Washington Heights accommodated athletes from around the world as Japan hosted the Olympic Games – bringing with it a fresh crowd of potential Harajuku followers. Later, fashion designers settled in the area, calling themselves ‘the Harajuku tribe’ and by the late 1970’s Harajuku had turned into the ‘it’ place for the fashion conscious youth. By the 1990’s it had changed from a destination into a concept, which represented everything new, fresh and energetic. 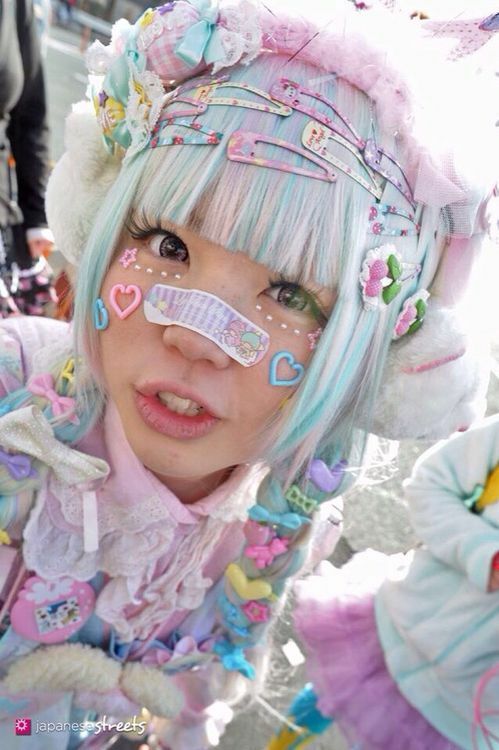 Harajuku fashion is fundamentally all about having fun and being able to represent your personal style without the fear of judgement. 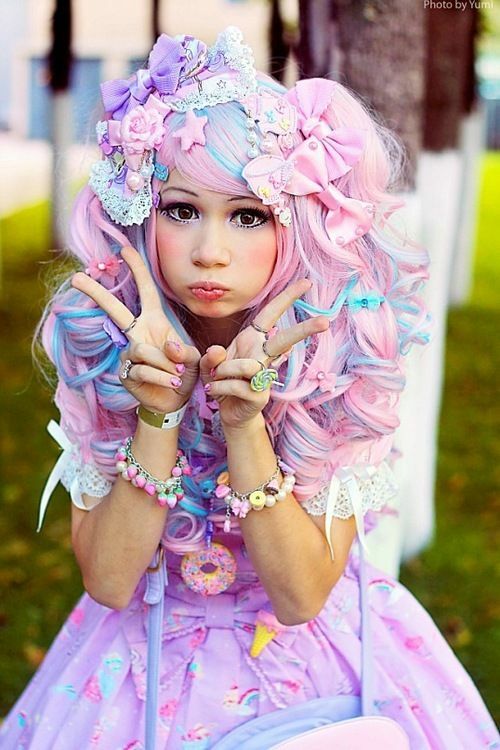 A key aspect of the style (predominantly pink dollesque dresses) is commonly described in Japan as ‘Kawaii’ – meaning cute or adorable, which in 2015, even got added to the Oxford English dictionary, as the trend took hold. 3 essential style inspirations for getting the Harajuku look just right, includes; ‘Gothic flair’ which incorporates ruffled knee-length dresses and elegant long coats. ‘Cosplay’ (pronounced Kosupure), which is a subculture known for imitating manga or cartoon characters and of course ‘Decora’ – the super-bright style, worn with as many hair clips as your hair will allow! La Foret is a shopping centre filled with shops bursting with Harajuku inspiration. A trip to Tokyo wouldn’t be complete without a trip to ‘Wego’. Perfect for the affordable piece of Harajuku fashion and on par with the likes of H&M for popularity. But, if you can’t make it as far as Tokyo, then Cutesy Kink in Hampshire is a shop and online store, stocking everything Japanese and Kawaii – from Cosplay to Goth girl. Finally, as influential as the Harajuku girls are in Japan, they will never be the ‘original’ Japanese style icon. 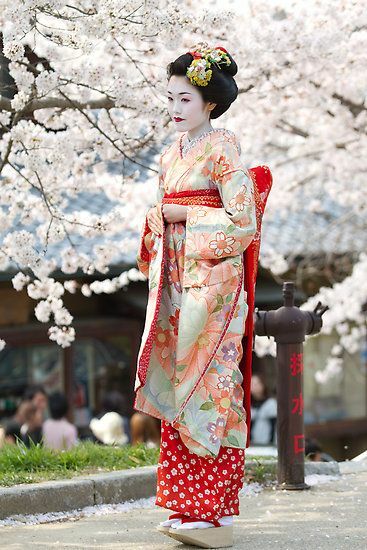 That honour belongs to the traditional Geisha girls – dressed head to toe in brightly coloured kimonos, with their distinctive paper white faces and cherry red lips. The Geisha (meaning ‘Person of the arts’) traditionally trains for 5 years in various forms of Japanese entertainment such as music, dance and poetry and are still present in society, despite their dwindling numbers. So, what are you waiting for? Whether it be the quirky Harajuku look or the traditional Geisha inspired clothing, at the very least – isn’t it time to inject a little colour into your wardrobe for the Summer season..?